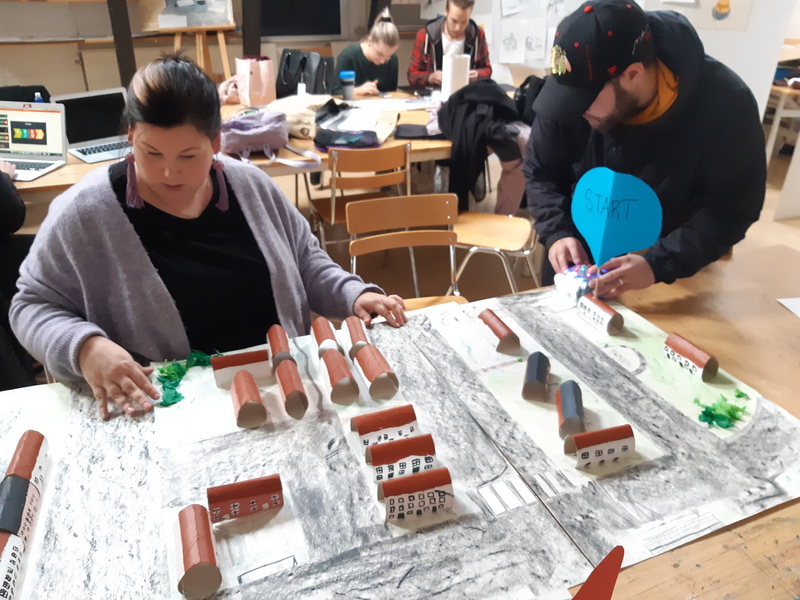 Primary / pre-school teacher students working with the design of STEM activities combining technology and digital competence at Kristianstad University. In order for pupils to develop insights regarding the “invisible technology in every-day life”, teacher students develop challenges for the pupils. The themes demonstrated in the images is; “My way to the school”. 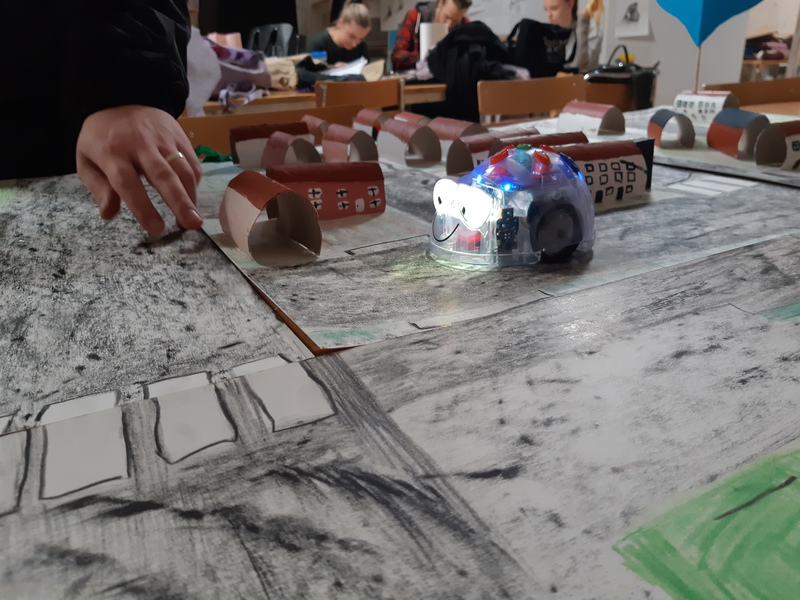 The technology present and observed by the children are replicated in a model and the robot is simulating a trip to the school.